How to prepare your health & welfare plans to avoid fines, penalties & lawsuits. 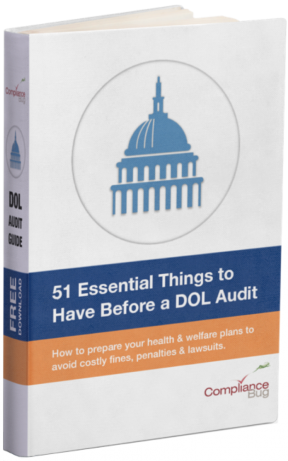 Modeled after a real Department of Labor (DOL) audit, the guide identifies 51 areas the DOL examines in their aggressive enforcement process. Be sure to double check your email address entered above. It’s where you’ll receive an email from us on how to download your guide.